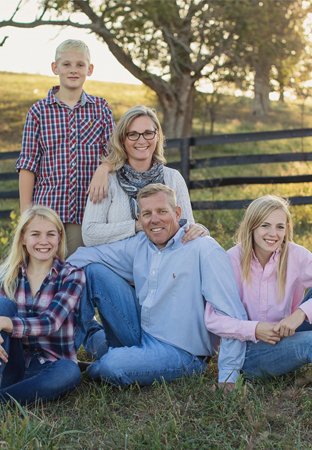 A family farm located in Paris, Kentucky with an emphasis on sustainability and animal welfare. 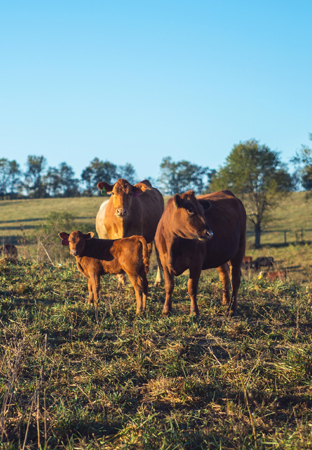 All our cattle are born and raised on family farm in the beautiful rolling hills of Bourbon county. Our finished cattle are never given antibiotics, steroids or added hormones. We provide 100% grass-fed locally raised beef; our cattle are never fed grain. They are finished on prime farmland pastures that are known to produce the best thoroughbreds in the world. 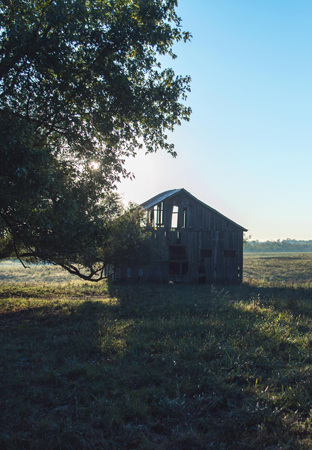 Six Ridges Farm is a 785-acre cattle farm just 15 miles from Lexington, Kentucky. The farm does not use chemical fertilizers or commercial pesticides, and provides premium pastures for finishing high quality beef. Our dream of Six Ridges Farm began to be developed in 1993, when farmer, Brian McGuire began building his herd. With an emphasis on humane cattle farming, ASH-free beef that is quality, healthy and with flavorful taste, our mission is to breed, raise and finish animals from birth to harvest. Our animals are born and raised on our family farm in Bourbon County, Kentucky. The farm operation focuses on sustainability and humane welfare practices. Our herd is ASH-free, bred to be more drought and heat tolerant, and built to finish on pasture. What is ASH-Free? Antibiotic, Steroid and Hormone free beef from cattle that is raised on a 100% grass-fed diet via rotational grazing practices. Our cattle are not only grass-fed but grass-finished. What's the difference? Chicken raised on our pastured, supplemented with Non-GMO feed.